A primary school caretaker has been found guilty of attacking a group of teenagers. Karl Lucas, 27, of Manor Fields, Horsham, who is employed as a premises officer at the Three Bridges Primary School, Gales Drive, was involved in an attack on five teenagers. West Sussex County Council said Lucas was not currently at work. 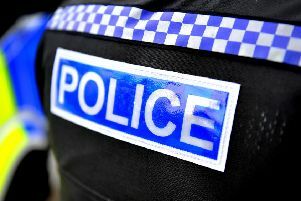 Sussex Police said at about 5pm on July 12 last year a group of teenagers, two aged 18, and three 16 year olds, were attacked by two men as they walked in Manor Fields Park, Horsham. The men tried to grab the teenagers’ football and cricket bat after confronting them. The two 18-year-old victims were each punched during the incident. One suffered minor cuts but the other was not injured. Karl Lucas, 27, and Ben Lucas, 24, of Denne Road, Horsham, pleaded guilty to affray when they appeared at Lewes Crown Court on June 22. They were both ordered to do 100 hours of community service and made to pay costs, £100 compensation and a £60 victim surcharge.